rbergenlaw | Family Law Attorney Robert C. Bergen share practical advice. rbergenlaw – Family Law Attorney Robert C. Bergen share practical advice. For years, I have advised new/potential clients that there are four people involved in a case; the two parties and the two attorneys. How these individuals (with conflicting viewpoints) communicate with each other determines to a great extent how smoothly your case can be conducted and resolved. It only takes one of these players to a different “agenda” to create problems with your case, or lose sight of the need to seek obvious and reasonable solutions to an unfortunate situation. This applies to either resolutions by agreement, which can sometimes become unnecessarily impossible due to one’s “agenda”, or by trial. While parties obviously would not be seeking a dissolution of their marriage, if they were both on the same page (or at least would be able to resolve their situation amicably without extensive legal involvement), it does not mean they must “break the bank” to get divorced. There is a life after divorce and having some financial stability/resources at that time makes that transaction all the easier. Your attorney should be your “filter” to insulate you from the feelings that may arise in a divorce such as jealousy, ego, retribution, even hatred and keep the case focused on resolution in an affordable and efficient manner. 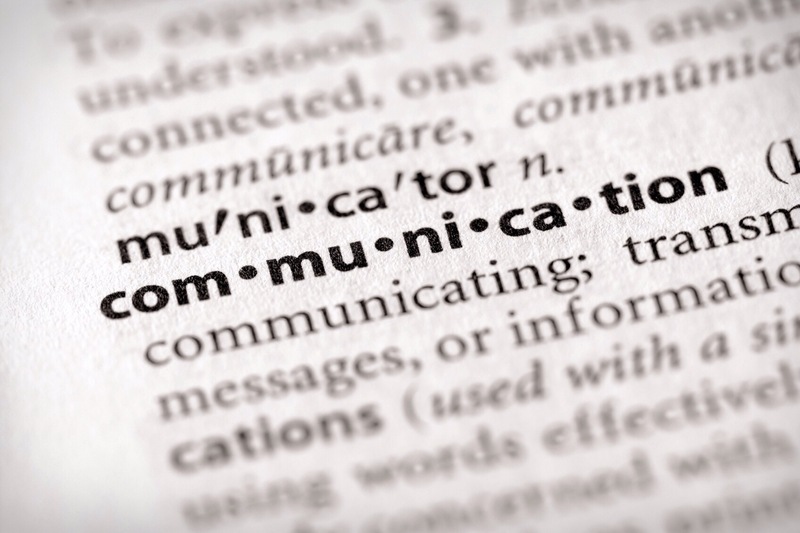 Communication with your attorney is key to establishing what I refer to as a comfortable working relationship. This relationship needs to be established at the outset of your representation, making your initial contact and retention of counsel a key moment. Your communications with your attorney are protected for the most part by the attorney-client privilege, so you should feel free to “vent” to a certain extent. You aslo need to be confident that your attorney understands when you are “venting” and when there is a genuine legal issue or problem that requires action. This is where the four people in the equation scenario becomes critical. If, for example, one of the attorneys is acting on venting and emotions, filing unreasonable motions and Requests for Orders that are really not issues that should be directed to the court for resolution, this is a problem. The problem in that situation is the unnecessary billings being generated by that attorney. Remember that it is always “your case” not the attorney’s and your money that you are being asked to expend. Effective communication with your attorney and focusing on your priorities can help eliminate the problem that may be caused by the attorney for financial gain. If unfortunately, you are on the other side of a case where opposing counsel is generating unnecessary work-product, or opposing counsel has lost all client control, it is especially important for you and your attorney to document the situation and not over-react, bringing the matter to the attention of your judicial officer as soon as practical. In the egregious situation, the court has the power to make orders for attorney fees and sanctions to rectify the situation. For inquiries on how to effectively begin your own legal communication strategy, contact our office with your family law need. We’re here to help. HOW IMPORTANT IS IT TO BE FIRST TO FILE FOR A DIVORCE? The first party to file is designated as the Petitioner and the second, the Respondent. These labels will remain throughout the action, including any post-judgment filings regardless of the filing party. There is really no legal significance to being the first to file, other than at the time of trial (should your matter have reached trial) the Petitioner will present his/her evidence first. Filing first is basically an emotional or psychological event or necessity, often made necessary by the other party’s belief that “nothing is going to happen”. By filing, it sets the record straight that this is a serious matter deserving attention to resolve the issues which have arisen causing an “irremeadiable breakdown” of the marital relationship. This is known as “irreconcilable differences”. In California, a no fault state, you are not required to state a reason for your divorce filing. The Family Code provides that the allegation of “irreconcilable differences” is sufficient. Often one party has come to the conclusion that the marriage is not successful and no longer a workable relationship. As unbelievable as it may seem, the other party is often “clueless” that there was even a problem, or so they claim. That contrast in and of itself would suggest that a problem existed. In such a situation, filing first is almost a necessity so that the “reality” of the situation is made clear. Included on the Petitioner, the Petitioner is required to allege a date of separation. Due to economic reasons, an actual physical separation of the parties, one party removing him/herself from the residence, is not always possible. Such a situation is now common for economic and other reasons, and a physical separation is not legally required. The date of separation is when one party no longer desires to remain in the relationship as husband/wife and communicates that intention to the other party. The date of separation can be a very important issue later in the proceedings as it can determine various property rights and entitlements, so it should be carefully considered and discussed with your counsel prior to filing, if there are significant issues in this area. Unfortunately, it is sometimes very important, even critical, to be the first to file and get the matter before the Court as soon as possible: property is “disappearing, bank accounts are being closed, credit cards are being cancelled, insurances are being cancelled or modified, drug or alcohol abuse has become intolerable, or problems with domestic violence. Some of these issues require a filing and seeking of immediate court assistance such as a restraining or other emergency order. These are obtained on an Ex Parte request or a filing under the Domestic Violence Prevention Act. (Those specific issues will be addressed in a future article). By simply filing your Petitioner, Automatic Temporary Restraining Orders (ATROs) go into effect immediately and are in force on the non-filing party upon service. These orders are contained on page two of the Summons. In summary, each case has its own set of facts and problems. It is critical for you to know where you stand and be aware of the remedies available to you. Feel free to contact the Law Office of Robert C. Bergen for an in person or phone consultation to discuss your particular situation. We’re here to help. There is no requirement that you be already separated to seek advice. In fact, seeking advice and being legally prepared, as best as possible at the time of actual separation, may even result in making your case proceed more efficiently and affordably. Information is extremely important and critical documents and records are usually more readily available before separation than after. You should make sure to have copies of bank statement, tax returns, credit cards and balances, as well as a general idea of personal property inventory. When seeking legal advice, it is important that you are comfortable with the individual who may end up representing you, in short, who you consult with is important. Consider who will be actually working on my case, the attorney or staff member? And what fees are going to be charged for their respective times? Do I pay both the staff member and the attorney to talk to each other about my case? Does that seem fair to pay for multiple billing? Is that fair to me as the client? A word to the wise, do not let yourself be taken advantage of by counsel who is spending an excessive amount of your valuable time talking about themselves and other cases, and not your situation. While that may be interesting, remember, if you have hired this attorney, you are probably being billed for that time. Also, divorce is an emotionally charged event. While a compassionate, supportive attorney is key, an attorney that spends excessive amount of time commiserating with you, will also be billing you for that emotional non-legal support. A trained therapist or member of your clergy might be better suited for that role. And much less expensive! Hiring an attorney is a significant decision that can have repercussions for years. Not only must you be comfortable with your attorney to discuss emotional and sometimes personal issues, you must feel confident that your viewpoint is being heard and your concerns are being addressed in a professional manner. The attorney-client relationship is unique. So unique that is “privileged” by statute. Don’t be afraid to say, “thank you for your time” and walk away from a consultation if it just doesn’t feel like a good fit. Frankly, unless you have a solid reliable referral to a particular attorney, it is best to meet with and discuss your situation with more than one attorney before making a choice. Viewpoints, objectives and personalities are all different. You should and must feel comfortable and confident in your attorney’s ability. Some of the best attorneys may come across as blunt and to the point. That is their job to be your advocate, so assertiveness is a good thing. Don’t be scared off because you don’t hear what you want to hear about your case. An attorney with integrity will give you an honest assessment of your case. How soon you obtain advice and retain an attorney often depends on the circumstances of your case. If your situation is already “uncomfortable” or “unacceptable”, it is important to seek to remedy that situation as soon as possible. If a situation exists, for example I am not being allowed sufficient contact with my child or children, it is critical to seek the assistance of the Court for a reasonable custodial order as soon as possible. This is necessary so as to avoid what the court may determine to be the “status quo” at a later hearing, leaving the situation uncorrected. Don’t wait until it is too late for even the most competent counsel to help you. Call the Law Office of Robert C. Bergen. Come in and discuss your case. You’ll feel much better about your circumstances if you’re not trying to go it alone. We’re here to help. HOW LONG WILL IT TAKE TO FINISH MY DIVORCE? The answer to that question lies almost exclusively with the amount of cooperation that can be achieved between the parties themselves and their respective counsel. Even the more complex cases (business interests, self-employed individuals, title disputes, custody) can be resolved in a relatively short period of time if both parties are motivated to move on with their lives. By California law, you can be restored to the status of a single person upon the expiration of 6 months from the initiation of the action (service). If, the above situation exists, it is not uncommon for a full settlement agreement to have been negotiated, signed and submitted or ready to submit to the Court within that time frame. Certain requirements, exchange of Disclosure Statements and Income & Expense Declarations, even if there is a full agreement on all issues and what is called a Stipulated Judgment, are required before the Court will accept the agreement and enter Judgment, but they can be completed within that time frame. Unfortunately, if either of the parties, or sometimes one of the attorneys, is less than cooperative, or has a different agenda, a contested divorce action can extend for months, even years. It is important at the outset of the action, to gather as much information (bank statements, mortgage statements, credit cards, tax returns, etc.) as possible to eliminate as much delay as possible in the event your case becomes more of a “long termer”. It is much better to be prepared for that possibility and not need all of the information gathered, than to be unprepared and have to engage in extensive discovery (the legal term for gathering information) via subpoena, depositions and the like.